We’re looking for a Sales Associate to assist us with our everyday sales and marketing task at MNS Urban Environmental Education Hub. 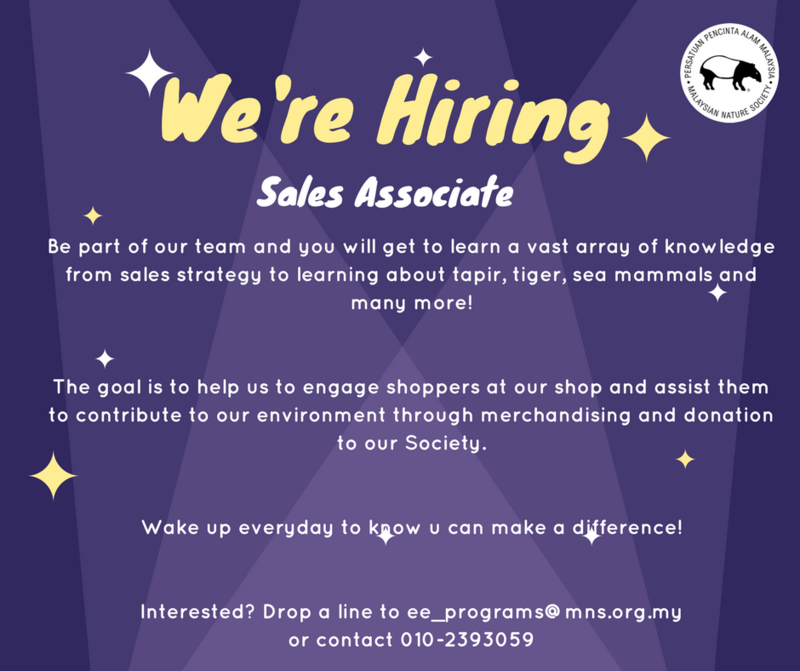 Be part of our team and you will get to learn a vast array of knowledge from sales strategy to learning about tapir, tiger, sea mammals and many more! The goal is to help us to engage shoppers to our shop and assist them to contribute to our environment through merchandising and donation to our Society. We are looking for a charismatic and cheerful person.Wake up everyday to know u can make a difference! Interested? Drop an email to ee_programs@mns.org.my, or call 010-2393059 for more information.